Ken Laha asks: How long would someone’s heart have to be stopped before you’d stop trying to revive them? In other situations, numerous factors need to be considered when deciding when to stop trying to resuscitate someone, such as how quickly CPR was started after their heart stopped; how well CPR was performed (note: CPR does not require mouth to mouth and recent studies seem to indicate the person has a better chance of surviving with just compressions in most cases); the types of medications used during the resuscitation; the medical history of the person, known as comorbid factors; and, finally, the cause of the cardiac arrest in the first place. With this in mind, let’s take a quick look at some of the most common things to consider when trying to resuscitate someone, and how long you would try to revive them in those situations. The first, and most important thing to consider is the point of trying to revive the heart in the first place- that’s to supply the body, and most importantly brain cells, with adequate blood flow. The first question any rescuer needs to consider is, “What’s the likelihood that the victim’s brain cells are still functioning?” If there’s a good chance that if you get their heart back going, the person isn’t going to be a vegetable, you continue trying. If not, you typically don’t. For this, a general rule of thumb is that brain cells begin to die after approximately 4-6 minutes of no blood-flow. After around 10 minutes, those cells will cease functioning, and be effectively dead. That said, there are some exceptions to that rule. In situations of slow metabolism, like when the person is hypothermic, those time-frames are extended. If good CPR is being performed, the brain cells are also getting some blood supply, although decreased, so the time frame is again extended to the point the rescuer feels is appropriate. The second thing to consider is, “What is the electrical function of the heart?” The heart itself is a two part pump- one part electrical, the other is plumbing. The electrical part is mediated by electrolytes like sodium, potassium and calcium. The electricity created is what “shocks” the heart and causes it to contract and squeeze blood out to the body. For a complete explanation of how this works check out our article on How the Heart Works. Any rescuer needs some sort of electrical function to be happening within the heart to be able to get the heart beating on its own again. Whether they need to externally shock the heart, called defibrillation, or attempt to create a steady beat externally, called “pacing”, they do need some electrical function. If there is some electrical function, and good CPR was being performed (thereby continuing to get some blood to the brain) most will continue attempting to resuscitate. If no CPR was being performed, then possibly not. No blood flow would have been getting to the brain and thus after around 10 minutes, it would be futile in most cases. Unless of course you were going to attempt the resuscitation for the purposes of providing organ donation, then maybe. Hopefully you are beginning to see why this is such a tough question to answer. If there is good electrical function and it isn’t creating a heart beat, good CPR is being performed, then continuing to try and revive the individual would be a wise decision- even if it’s been 45 minutes. That being said, there can be good electrical function and no heart beat, called PEA (pulseless electrical activity) and if the rescuer feels it has been too long for the brain cells to survive, they might still decide to stop at 30 or even 20 minutes. From this so far, you might be thinking to yourself that it all comes down to the electrical function of the heart- if it’s there, you continue; if not, you don’t. Unfortunately, that’s where this gets even more complex. Depending on what is happening electrically within the heart, there are medications and treatments that can be given in an attempt to put the heart in a better pulse-producing situation. Let’s look at some of those situations and talk about times. The most common electrical rhythms the heart can be in when it isn’t beating are asystole (no electrical function), ventricular fibrillation (the heart is quivering like a person having a seizure), ventricular tachycardia (the bottom part of the heart is beating really fast), and PEA (anything that isn’t one of the other three). Before we talk about the types of medications and treatments that can be attempted, and the time-frames, I need to say that when someone is in cardiac arrest, the absolute best treatment known to man is good CPR compressions combined with early defibrillation (see my article on Top 5 Life Saving First Aid Tricks Everyone Should Know). No medication or treatment should ever be given in place of those two things. That being said, if those two things aren’t enough, there are some things a rescuer could try. When it comes to the medications given, you have to take into account the time it takes for them to work. This will vary greatly depending on CPR compressions and numerous other factors like normal time for that medication to be metabolized. So the times I give are the best approximates we currently have. I also won’t be going into how they work or why you would choose one over the other, as this article is already pretty long. I will simply give you time frames for them to work because a rescuer would need to continue attempting to revive the victim until that time. Let’s start with asystole. Currently, the AHA recommends using epinephrine or vasopressin combined with good CPR compression to circulate it. Epinephrine begins to cause reactions within about 1-2 minutes and begins to become less effective around 5 minutes. The AHA, thus, recommends giving a dose every 5 minutes of resuscitation. You would continue trying to revive the victim with this drug until you felt the brain cells had no chance, or you had no change in the electrical function of the heart. 20 minutes is a common time frame. Vasopressin takes approximately 20 minutes to begin to cause a reaction. 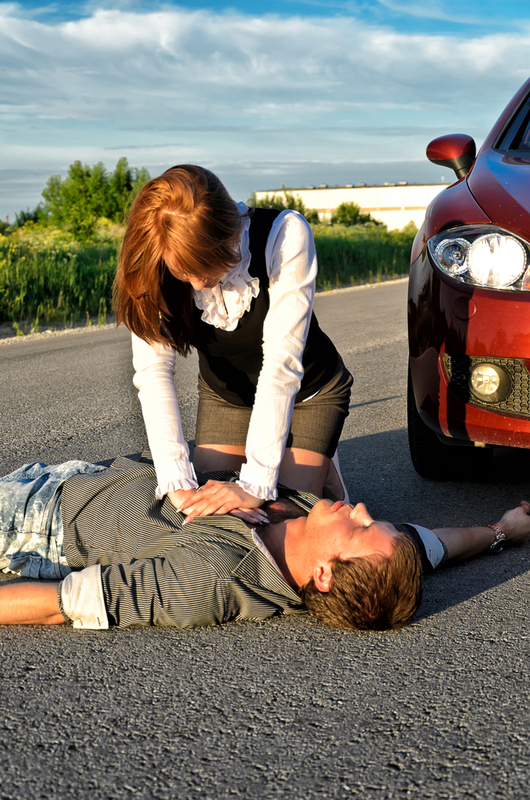 A rescuer would need to continue attempting resuscitation for at least that long before they would expect a result. 20 minutes would then be the minimum amount of time you would attempt resuscitation. Some would continue longer, especially if they had a change in the electrical function of the heart. Ventricular fibrillation and Ventricular tachycardia are treated almost the same. Externally shocking the victim is the treatment of choice. Along with Epinephrine, the AHA also recommends giving Amiodarone, and if that’s not available, Lidocaine. Amiodarone begins to work around 10-15 minutes, Lidocaine around 2-5 minutes. You would continue giving this drug until you reached its maximum dosage. With Amiodarone you use only one large initial dose, followed by a smaller dose should you get a heartbeat back. With Lidocaine, you would give approximately three doses. The time frame for this type of resuscitation can be quite long. This is because all of those treatments take time, and you could choose several different orders in which to give it. You would start with shocking the victim, wait 2 minutes, then give Epinephrine, wait another 2 minutes, then choose Amiodarone or Lidocaine, or any of the 4, and then continue from there. As long as the person is still in this rhythm, you would continue. Should it change, you would then change your treatment. I will say, I have personally seen this rhythm persist for well over 30 minutes. We then get to PEA (pulseless electrical activity). This is its own animal as it could be any sort of rhythm that isn’t one of the others. Because of this, the gold standard is trying to fix the cause. For this, the AHA has a handy little mnemonic called the 6 H’s and 5 T’s. The H’s are: Hypovolemia (not enough blood), Hydrongen ion (acidosis), Hyper/Hypokalemia (high or low potassium), Hypoglycemia (low blood sugar), and hypothermia. The T’s are: Toxins (either drugs or chemical), Tamponade (cardiac tamponade, meaning fluid around the heart), Tension pneumothorax (a hole in your lung that progresses in to pressure on your heart), Thrombosis (clot or other occlusion in your blood vessels), and Trauma. The treatment for each of those situations takes its own amount of time. Some take as little as 1-2 minutes, like in the case of fixing acidosis. A person could give a drug called sodium bicarbonate, or one could artificially breathe really fast for them. Some treatments can take well in excess of an hour, as in the case of fixing hypothermia. Things can get even more complicated should the victim begin to have several different heart rhythms. In those cases, and with most cases, it really comes down to whether or not the rescuer feels the brain cells are still viable. That decision is very subjective in nature. One doctor or paramedic might not choose to resuscitate someone when another would. Both could be correct in their decision, depending on what they thought was the cause. With all of the specific treatments considered, it really comes down to brain cells. If they could still be viable, you would continue attempting resuscitation. If not, then you wouldn’t. General time-frames that are common in hospitals and with paramedics are 20-40 min, should they choose to start resuscitation. But, even within those time-frames, they might choose to not even try, depending on the situation. I know it’s not a concrete answer like “20 minutes”, but hopefully this was at least an informative and interesting read. From my many years of personal experience, I can tell you that the longest I have ever personally seen a person’s heart not beating and they were able to be successfully revived (meaning they walked out of the hospital with somewhat normal neurological function) was over 40 minutes. Luckily for that gentleman, he did have CPR started almost immediately and advanced life support was started within 12 minutes. What Do the Numbers in a Blood Pressure Test Mean and What Does This Test Tell the Doctor? The brain of a paramedic that tries to remember all of this when it really counts! They are meant to fix irregular heart beats. But yeah, it is true that they are not too useful on flat-line victims. Now, think those poor folks who went down and don’t need the defib; but someone with no knowledge still wants to zap them.. yikes !!! Hey Scott, Nice article, but there is one area that’ needs a little more emphasis. That would be about VFib, and the short time window for stopping the VFib pattern before possibly leading to sudden cardiac arrest and irrevocable death. Once your heart goes into VFib, there is precious little time to shock it into a normal rhythm before the heart electrical system can essentially short out, and is no longer able to be started again. Much like an appliance. Once it has fried it’s circuits, it’s history. Often there is less than 2 minutes to shock someone out of VFib, before their heart shorts out. CPR on a VFib patient is OK, but electroshock is the only thing that will usually resuscitate a VFib patient. I’m not a Dr. and there is more to it, but VFib can kill quickly, and doesn’t always require previous heart disease as a cause. Thanks for this article. Out of the blue I had sudden cardiac arrest , at work, 18 months ago. No one found me for about 15 minutes. Fortunately, I was using a cold water hose and this chilled me down after I fell down . Great and persistent work by the LA. F.D. paramedics saved my life. In talking to them much later, they told me I had severe lividity when they arrived and had cooled way down . They did all of the procedures in your article as well as a sucrose injection and a cooling jacket during transport . That seemed to return my heartbeat . Since then, I had an operation to repair my mitral valve . I am still amazed that I am alive and doing fine . Really the article begs the real question of your chances of survival when your heart goes haywire. I drove to a hospital and in two minutes was dead of VFib. I had shocks three times over a seven minute interval, and was two minutes from getting a blood thinner which in 2000 would have precluded a stent which is what I needed. I had no heart disease, and was a runner. Had I waited for EMS, I would be dead. The real trick is to be aware that you are hurting like you pulled a muscle in your arm or shoulder or jaw. It just doesn’t seem like a heart attack, and both guys and girls…you just can’t believe a heart attack is happening to you. How long your heart can beat depends on how fast you are treated. If you have to drive. Meet the ambulance, or drive into the ambulance dock and yell for help… With a VFib experience,from an out of hospital experience, only 1 in 10 survive the first 24 hrs. 1 in 7 airline heat attack folks survive the 24 hour time, and even in hospital VFib, the window can be as low as a 25% survival rate. Unfortunately, I can’t tell you when you are going into VFib, but my suggestion is to pretend you are and get help immediately. As a health care provider, I will add my 2 cents. First of all, to address the question of what would make a medic decide to forgo CPR, is essentially dictated by the circumstance of the victim’s demise. But it is also unfortunately a legal decision. Since it usually not known exactly when a person went into cardiac arrest and the person was “found down”, irregardless of how blue the person appears to be, CPR and resuscitative attempts are almost always began. Consider that a person is likely found by family or close acquaintance; there is the expectation that we do something, despite the fact that survival may not be likely. In the case of a child, it is a given. So then there in is the crux of deciding who then is “dead” and who decides. Not being a Lawyer I can say most of us medical folks shy away from making these calls unless the obvious, to even a layperson, is that you are undeniably and irrevocably dead. It is a bit different in a medical care setting where usually we know precisely when a person experiences cardiac arrest. I hate to be a Debbie downer, but for the most part, people who die usually stay that way. That doesn’t mean we don’t try, but statistically your odds of survival after cardiac arrest outside of a hospital is less than 12%. This improves to about 25% in a healthcare setting (from the American Heart Association). Bear in mind that those numbers are a statistical aggregation based on incidence of arrest as reported for all. In that respect, your survival depends greatly on why the event occurred as well as access to immediate intervention (especially with prompt defibrillation), and correction of the cause if possible. But all in all, it is a rather dismal fact that you are likely to stay dead when it happens even under the best of circumstance. What is needed is some paradigm shift in how we deal with physiologic death. I think the first advance we will see is extending the window of time we currently see from about 20 minutes to half an hour or more by cooling the brain and body. In arrest, time is life; those few extra minutes could mean thousands survive. If we could just slow metabolism, and better yet stop it with the ability to restart it, we could redefine what it means to be dead. In fact, death could one day no longer be defined as absence of pulse and respiration, but where one would be “suspended”, possibly indefinitely. What would that mean? I can imagine nearly everyone having surgery, experiencing cardiac arrest or life threatening condition being treated first with suspension prior to repairing the injury. Disease might be cured with means never before possible. Space travel would be revolutionized. Voyages to Mars would be common place; we could become human time capsules. We would have to re-imagine what death is; if this becomes reality, would even this apply retroactively to bring back the dead? Laugh, but one day maybe some of us reading this may wake up in a strange time like the proverbial Rip Van Winkle. As medical professionals we are trained to treat death as the enemy. I can’t wait for the day when we can say we finally won. The biggest problem it seems is getting there ten minutes too late. It is so very critical that as soon as the victim’s heart stops, CPR is began. Just this morning I responded (First Responder) to a neighbor who went down, and had been down for ten minutes before we walked in their door. We immediately started compressions and didn’t stop (save for the shocking) until she was in a hospital room, pronounced dead. It is so crucial people know what to do in such a situation, because maybe (maybe maybe maybe) if her husband had been giving her CPR from the beginning, we could have saved her (at the very least had a much better chance). You need to know this stuff, especially as a normal civilian, and when a family member or friend goes down, you have GOT to begin trying to get them back up, seconds after you call 911. (Sorry for the lack of technical terms, but I’m speaking to the general public). Taking a 30 minute CPR class will only take that much out of your life, and could add years to someone else’s. I had open heart surgery and all went well. I was discharged and was waiting for my wife to bring the car around. And then I woke up the next day in another room. I had had sudden cardiac arrest and even in the hospital setting I was flat lined, dead for 27 minutes! Three nurses took turns giving me CPR and they used the paddles three times and shots but nothing happened. The doctor told my wife that even if I did survive, after being that long without oxygen I would probably be brain dead. I woke up the next morning feeling absolutely fine. No hangover or pain or discomfort. They seemed to think it was some sort of miracle. I am not a nurse..i am just a mom and i took a cpr class with the red cross less than a year ago. It took less than 3 hours. I feel such a relief. .. you never know when you will need it. Everybody should do it. so……. how about heart transplants when certainly the heart that is going in is “dead” ??? A couple years ago I was given CPR and chest compressions . I wasn’t dead but the police officer doing the CPR thought so..I woke up in st.Joseph ER.and left against Dr orders with cracked ribs and all.. a week or so ago I was in the ER with chest pains and dizzyspells.. I had a irregular heartbeat..
Could this have been from the CPR? I was clinically dead for about… an hour I think, when I was just 8 months old as my heart had been stopped to perform heart surgery, but from the reports I still have here at home, despite being ‘detached’, the heart did keep twitching ever so slightly. And the nanosecond blood was allowed to flow into it again, they never managed to start it – it started beating entirely on its own, which is extremely rare and almost never happens. THAT is quite a bit of will to live, even for an infant! Obviously, they used a machine to pump the blood around when the heart was ‘dead’… or I was dead, rather.